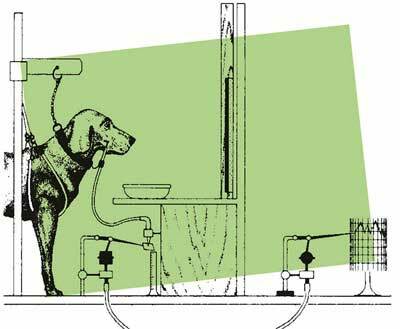 We all remember learning about the famous psychological experiments in conditioned reflex performed by Ivan Petrovich Pavlov around the turn of the previous century. In simple terms: Pavlov would ring a bell prior to feeding his dogs (his test subjects); the dogs were quickly conditioned and came to associate the ringing of the bell with the presentation of food. Soon, all Pavlov had to do was ring the bell and the dogs' saliva flow increased. That same principle is at work in branding. When we hear a name, see a logo, whiff a particular scent, or encounter a sensation, we are conditioned—based on our previous experiences with those things—to respond in a specific way. When I see the distinctively shapely Coca-Cola bottle, for example, all my experiences with Coke—refreshment, summers of my youth, Captain Morgan rum, and more—flood into my brain and my conditioned reflex informs my decision-making. 1. Pavlov consistently rang a bell. He didn't change from a bell to a whistle and then switch to a horn. He consistently used a bell to condition his test subjects to react a certain way when they heard that ringing. So it is with delivering your brand. Consistency is about creating a self reinforcing loop in which you define your brand incrementally through every customer touch point. 2. When Pavlov rang the bell, he didn't withhold the food (the reward). To anchor that conditioned response, he followed the ringing with the food. Every time. It's been said that a brand is a promise wrapped in an experience; it's actually a consistent promise wrapped in a consistent experience. Michael DiFrisco is the founder of www.How-to-Branding.com and the author of How to Craft a R.A.D.I.C.A.L. Brand for your Small Business or Organization, the do-it-yourself manual for building your brand strategy.